Summer vacation may be the best time of the year as far as your children are concerned, but they won’t be too happy if your air conditioner breaks down in the middle of a hot afternoon. You love it when they’re home, you won’t love it when they begin to whine. You can only handle so many, “It’s hot” cries, and they never take into account that you’re hot, too. Avoid all of this by testing your AC in the spring. If you notice any of the following, your unit might need maintenance or repair. Not literally, but turn on your air conditioner and listen for squeaks. You shouldn’t hear any unusual sounds as the unit operates. If you pick up on banging, grating, grinding, squeaking, squealing, or any other odd noise, turn the AC off immediately and consider air conditioner repair services to isolate the problem and fix it. If you wait, the problem could cause additional damage. You will feel hot air come through the vents when your air conditioner first turns on, but the air shouldn’t stay warm. If the air does not cool down within a few minutes, you have a problem. The problem might be something as simple as low coolant or as complicated as a refrigeration system leak. Make sure to get this checked so you can enjoy refreshing air all summer long. Is the AC on with no air flowing through the vents? This, too, could be a simple or complex issue. Every spring, it’s a good idea to inspect and clean all vents and ducting anyway to ensure your indoor environment remains healthy when the house is closed up and artificially cooled. This also helps identify blocks that inhibit air flow. Other problems include a blower or motor problem. It’s natural for your AC to release minor condensation but you shouldn’t notice water. Your air conditioner uses fluid but leaks can indicate trouble. The moisture your AC does use cools the air and keeps the unit operating efficiently, which saves you money on your utility bills. If you see or hear dripping or leaking, you might have a clogged drain tube or Freon leak. Smelly air coming out of the vents indicates any number of issues from mildew and mold to part breakdown. The air pushed through the vents by your unit shouldn’t smell at all. I might smell a little musty at first, but then it will become odorless. Carefully use a step stool or ladder so you can smell the air coming directly from the vent. If it smells, call for maintenance. These are common indicators there might be something wrong with your air conditioner. The sooner you address any concerns, the less expensive your repair bill will likely be. 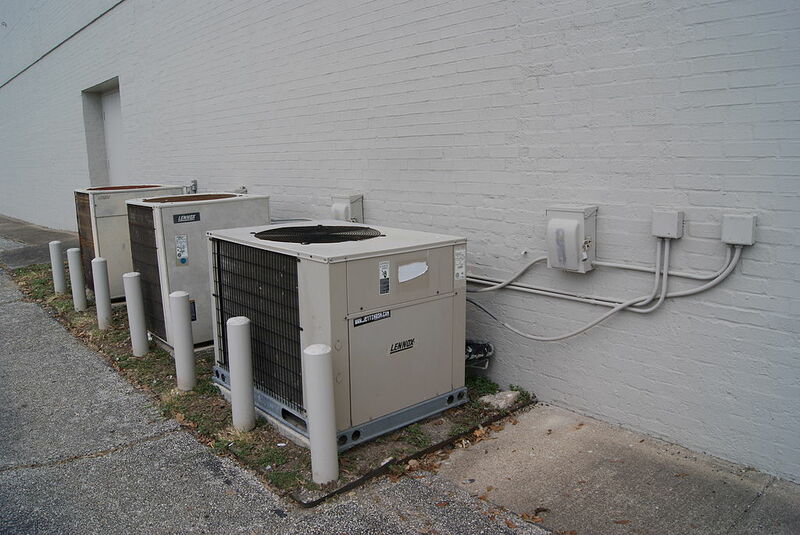 Running a compromised air conditioner causes additional damage and could even render the unit inoperable. Make certain your AC is ready to keep you and your family cool throughout the hot summer months by testing in the spring. If all is well, fantastic. If you notice any of the above, it might time for some air conditioning repairs.